Amazon just added fuel to my speculation that it won't be updating their Fire tablet line this year. Earlier today Amazon quietly launched a new color option for the Fire HD 10, its largest Android tablet. In addition to black and white, the tablet is now available in a silver aluminum color option. And if you like, you can get it with 64GB of storage. Aside from the new storage option and shell color, it's the same tablet as before. Nothing has changed between the 1280 x 800 resolution screen, MediaTek CPU, or the price - still $230. 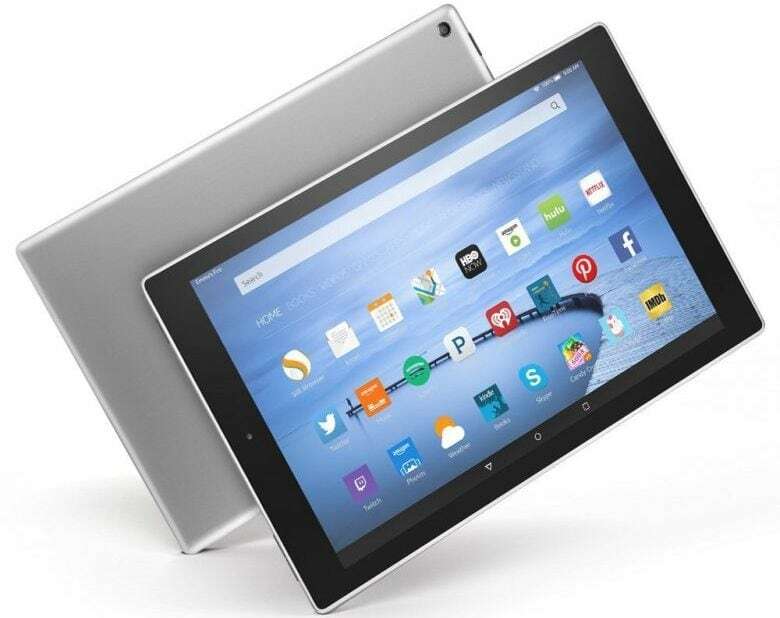 This tablet still runs Amazon's custom version of Android on a quad-core MediaTek MT8135 CPU with PowerVR Rogue G6200 graphics, 1GB RAM, 16GB, 32GB or 64GB of internal storage, a pair of cameras (5MP and 1MP), Bluetooth, and Wifi. As you may recall, Amazon first upgraded the storage on the Kids tablet, and now they've done the same on the Fire HD 10. So it looks like I was right a couple months back when I suggested that Amazon would nor be releasing new tablets this year. That's pure speculation, yes, but it only stands to reason that Amazon would not be refreshing the existing tablet line if they also planned to replace the tablets. So now we know both the Fire HD 10 and Fire Kids tablet will be hanging around. We might possibly see a new Fire HD 8 (it showed up on a benchmarking site), but that tablet is ever so slightly different from the current model that it might simply prove to be a refreshed Fire HD 8 rather than a new model. It is nice there is an aluminum option. While there are downsides to using metal (it can get cold if the area is cold around it and it shows scratches), I think because it feels better than plastic. I was really hoping to see a new and “fixed” 10″ option. Most of what I’ve read on the 10″ model left me underwhelmed. Especially for the price. Especially when there are other 10″ competitors out there, for half the price, that have GREAT reviews. Looks like the better bet is still the smaller models. I would actually be interested in an even smaller model that I could easily slip in my pocket and travel easily with, or work outside and be able to carry, while listening to a book, music, TV. Maybe something to compete or replace an Ipod, that focuses only on entertainment.